Thank you to all Coaches who assited in creating a memorable sailing experience for 20 young Kingston immigrants! Come down to the club and see some exciting 2-person dinghy racing. We are expecting upwards of 20 competitors. Race results will be posted online in the "Sailing / Racing / Regattas" area of our web site. Please contact Robert Weguelin if you are interested in helping with this or future regattas. An aromatic I.P.A. in the contemporary West Coast style. Big tropical fruit flavor gives way to pine, courtesy of American and New Zealand organic hop varieties. With it’s bold flavor and balanced bitterness this I.P.A. is a perfect refreshing drink for the hot and humid summer weather in Kingston. Full-Time I.P.A. makes a great accompaniment to any of our house made Burgers or with the fresh flavors of Nachos to share with all your crew. Try one and let us know what you think! | Summer sailing has now finished up - Fall sailing begins September 5th! 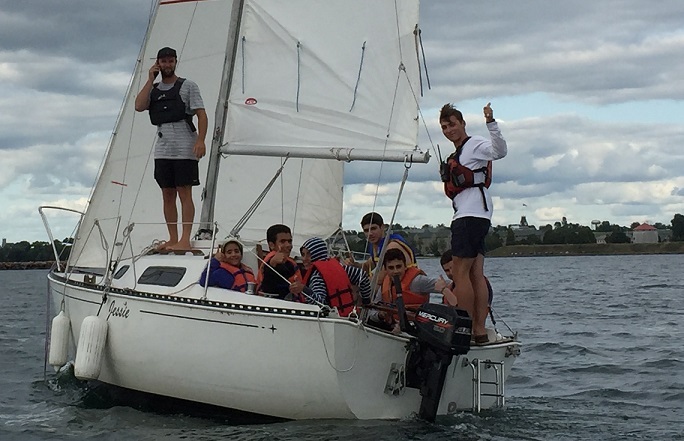 It has been a wonderful summer of junior program sailing at KYC! The coaches have thoroughly enjoyed coaching all the sailors. There have been around 290 sailors who sailed with KYC this summer, including record numbers of Opti Beginner and Wetfeet sailors. 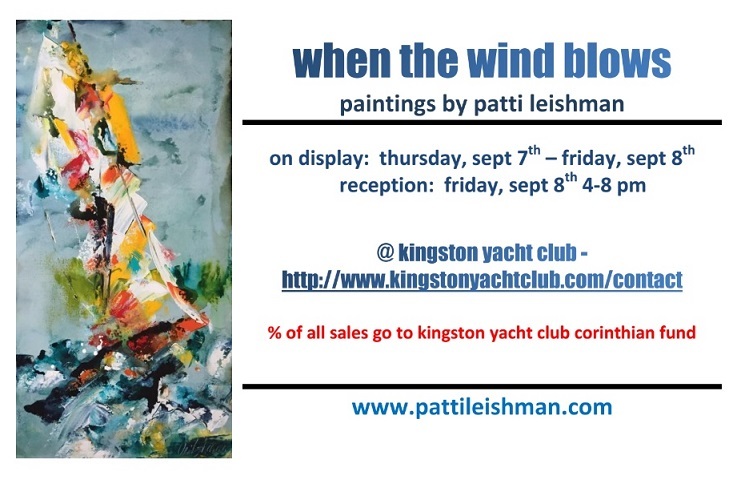 This is great for the future of sailing at Kingston Yacht Club and Canadian Sailing. On Thursday evening, around 20 youth immigrants aged 11 - 17, had the opportunity to go sailing at KYC for a couple of hours. We had 3 420s and Jessie out on the lake with coaches who kindly volunteered their coaching time and expertise. All the coaches thoroughly enjoyed it! It was a beautiful evening with 4-6 knots of breeze. Most of the youth had never sailed before so really enjoyed the new experience. Special thanks to Coach James Hickey, Emily Butler, Emma Piczonka, Sam Fumat, and James Rountree for helping out! Opti CORK, Canadian Laser Nationals and CORK International The KYC race team sailors finished up their regattas for the summer sailing season last week. Well done to all the sailors for sailing well, displaying good sportsmanship and representing KYC to a high level on and off the water. Thank you to all the race team coaches for all your coaching! FORK in association with KYC held their annual Foiling Kite boarding 3 day regatta off Lake Ontario Park last weekend. It was a fantastic weekend of short, fast races in beautiful breeze. Thanks to all the racers and volunteers for making it such a successful event. Goodluck to James Fair who is currently in Halifax racing at the Opti Nationals and Dannie Boyd (RNSYS/KYC) / Erin Rafuse (RNSYS) who are just about to compete in the 49er FX world in Porto, Portugal. Fall Training allows sailors to extend their sailing season and gain more structured, meaningful time on the water. This allows sailors to improve their sailing skills while further developing their passion for sailing. Fall Sailing will occur on Tuesdays and Sundays for the month of September and just into October. For the LTR and Race Team sailors, CORK will be the focus regatta. For the CANSail 3 & 4, time on the water with effective coaching and reviewing checklists is the focus. Peter Kraszewski, Regatta Chair and is our lead KYC organizer held a planning meeting this past Wednesday. The meeting was well attended (15+ people) and a lot of ground was covered in preparation for next year's regatta. Responsibilities in various areas were assigned (race management, social, volunteers, digital media presence, marketing, trophies, harbour master, etc) and the financials started. There were even some historical memorabilia items on hand, including a set of flags for the EYC regattas going back to the 1960's and results from past EYC regattas held at KYC. The next planning/organising meeting is scheduled for November 8th. If you are interested in helping out with this regatta please contact Peter K.